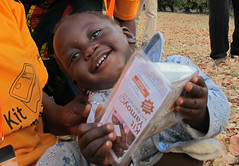 Last Tuesday, 29 /3/11, was a big day in the ColaLife world of cross-sector partnerships that do extraordinary things. Two significant things happened. The first was the release, by Oxfam America, The Coca-Cola Company, and SABMiller of The poverty footprint analysis on the SABMiller/Coca-Cola value chain in El Salvador and Zambia (Report download, PDF, 3.7 MB). The Poverty Footprint methodology, developed by Oxfam, provides a framework for measuring private sector impacts on communities. The methodology looks across value chains to provide a comprehensive understanding of how companies are having an impact on sustainable livelihoods, health and well-being, diversity and gender, empowerment, and security and stability – all key dimensions of poverty. The fact that The Coca-Cola Company and SABMiller underwent such a detailed footprinting is in itself remarkable – this is a true example of stakeholder engagement. The true value of this effort will be realized in two, three or five years, when we see how these organizations have built on the report to address these issues and ultimately benefitted many people around the world. Zambian Breweries Limited, a subsidiary of SABMiller plc, is currently in discussions with a view to collaborating with the NGO ColaLife and other partners on a pilot project which will test the possibility of harnessing ‘last mile’ soft drinks distribution chains to supply an anti-diarrhoea kit to mothers and carers in under-served rural areas. The ColaLife concept has been developed over the last three years in an ‘open innovation’ process. It has engaged the talents and enthusiasm of thousands of people who would like to see it tested. The pilot partners and the precise scale of the trial is currently being finalised. ColaLife, a UK-based non-profit, hopes to have a detailed pilot plan in place by the end of April to put to potential funders. We are very pleased to have an official line on the collaboration we have been reporting with SABMiller. Meanwhile, behind the scenes, we will be working on the detail of the partnership agreement. If you’d like to hear more about the poverty footprint report you can register to be part of a Webinar being hosted by the Business Call to Action. Click here to register. 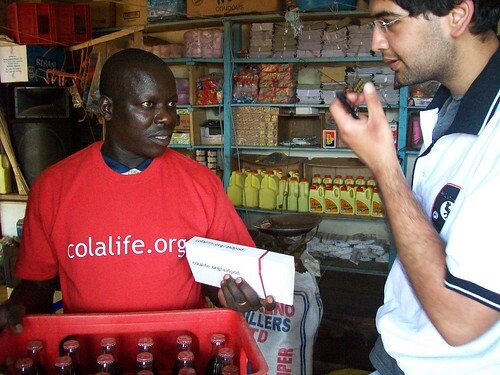 Image credit: Claire Matthews – A shopkeeper talks to ColaLife volunteer Mo Atif as part of informal field research in northern Uganda, March 2011. This webinar was an excellent use of the internet. Not sure how many people participated but it was over-subscribed. 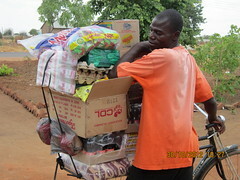 The recording will be published on the Business Fights Poverty website next week.